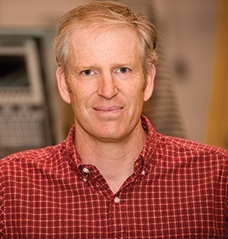 Dr. Michael P. Wolcott, Ph.D.
Martinkus, N., S.A.M. Rijkhoff, S.A. Hoard, W.P. Shi, P. Smith, M. Gaffney and M. Wolcott. 2017. Biorefinery site selection using a stepwise biogeophysical and social analysis approach. Biomass and Bioenergy. DOI: 10.1016/j.biombioe.2016.12.022. 97:139-148. Alvarez-Vasco, C., R. Ma, M. Quintero, M. Guo, S. Geleynse, K.K. Ramasamy, M. Wolcott, and X. Zhang. 2016. Unique low-molecular-weight lignin with high purity extracted from wood by deep eutectic solvents (DES): A source of lignin for valorization. Green Chemistry. DOI: 10.1039/C6GC01007E. 18:5133-5141. Liu, Y., J. Wang, and M.P. Wolcott. 2016. Multistep process to produce fermentable sugars and lignosulfonates from softwood enzymolysis residues. ACS Sustainable Chemistry & Engineering. DOI: 10.1021/acssuschemeng.6b02328. Ma, R., M. Guo, K.T. Lin, V.R. Hebert, J. Zhang, M.P. Wolcott, M. Quintero, K.K Ramasamy, X. Chen, and X. Zhang. 2016. Peracetic acid depolymerization of biorefinery lignin for production of selective monomeric phenolic compounds. Chemistry-A European Journal. DOI: 10.1002/chem.201600546. 22(31):10884-10891. Chen, M., P.M. Smith, and M.P. Wolcott. 2016. U.S. biofuels industry: A critical review of opportunities and challenges. BioProducts Business. 1(4):42-59. Xin, J., M. Li, R. Li, M.P. Wolcott, and J. Zhang. 2016. Green epoxy resin system based on lignin and tung oil and its application in epoxy asphalt. ACS Sustainable Chemistry & Engineering. DOI: 10.1021/acssuschemeng.6b00256. 4(5):2754-2761. Ou, R., Y. Xie, Q. Wang, S. Sui, and M.P. Wolcott. 2015. Material pocket dynamic mechanical analysis: A novel tool to study thermal transition in wood fibers plasticized by an ionic liquid (IL). Holzforschung – International Journal of the Biology, Chemistry, Physics and Technology of Wood. DOI: 10.1515/hf-2014-0080. 69(2):223-232. Chen, F. and M.P. Wolcott. 2015. Polyethylene/paraffin binary composites for phase change material energy storage in building: A morphology, thermal properties, and paraffin leakage study. Solar Energy Materials and Solar Cells. DOI: 10.1016/j.solmat.2015.01.010. 137:79-85. Chen, F. and M.P. Wolcott. 2014. Miscibility studies of paraffin/polyethylene blends as form-stable phase change materials. European Polymer Journal. DOI: http://dx.doi.org/10.1016/j.eurpolymj.2013.09.027. 52:44-52. Ou, R., Y. Xie, Q. Wang, S. Sui and M.P. Wolcott. 2014. Effects of ionic liquid on the rheological properties of wood flour/high density polyethylene composites. Composites: Part A. DOI: http://dx.doi.org/10.1016/j.compositesa.2014.02.017. 61:134-140. Ou, R., Y. Xie, M.P. Wolcott, S. Sui, and Q. Wang. 2014. Morphology, mechanical properties, and dimensional stability of wood particle/high density polyethylene composites: Effect of removal of wood cell wall composition. Materials & Design. DOI: http://dx.doi.org/10.1016/j.matdes.2014.02.018. 58:339-345. Ou, R., Y. Xie, M.P. Wolcott, F. Yuan, and Q. Wang. 2014. Effect of wood cell wall composition on the rheological properties of wood particle/high density polyethylene composites. Composites Science and Technology. http://dx.doi.org/10.1016/j.compscitech.2014.01.001. 93:68-75. Ou, R., Y. Xie, Q. Wang, S. Sui, and M.P. Wolcott. 2014. Thermal, crystallization, and dynamic rheological behavior of wood particle/HDPE composites: Effect of removal of wood cell wall composition. Journal Applied Polymer Science. DOI: 10.1002/app.40331. 131(11). Zhang, J., A. Laguna, C. Clemons, M.P. Wolcott, R. Gleisner, J.Y. Zhu, and X. Zhang. 2014. Effect of hot-pressing temperature on the subsequent enzymatic saccharification and fermentation performance of SPORL pretreated forest biomass. BioEnergy Research. DOI: 10.1007/s12155-014-9530-9. 8(1):464-470. Ten, E., L. Jiang, and M.P Wolcott. 2013. Preparation and properties of aligned poly(3-hydroxybutyrate-co-3-hydroxyvalerate)/cellulose nanowhiskers composites. Carbohydrate Polymers. DOI: http://dx.doi.org/10.1016/j.carbpol.2012.09.033. 92(1):206-213. Wolcott, M.P., S. Brown, M. King, D. Ascher-Barnstone, T. Beyreuther and K. Olsen. 2011. A model for faculty, student, and practitioner development in sustainability engineering through an integrated design experience. ASCE Journal of Professional Issues in Engineering Education and Practice. DOI: 10.1061/(ASCE)EI.1943-5541.0000058. 137(2):94-101. Ten, E., D.F. Bahr, B. Li, L. Jiang, and M.P. Wolcott. 2012. Effects of cellulose nanowhiskers on mechanical, dielectric, and rheological properties of poly(3-hydroxybutyrate-co-3-hydroxyvalerate)/cellulose nanowhiskers composites. Industrial & Engineering Chemistry Research. 51(7):2941-2951. Ten, E., L. Jiang, and M.P. Wolcott. 2012. Crystallization kinetics of poly(3-hydroxybutyrate-co-3-hydroxyvalerate)/cellulose nanowhiskers composites. Carbohydrate Polymers. DOI: http://dx.doi.org/10.1016/j.carbpol.2012.05.076. 90(1):541-550. Qin, J., H. Liu, P. Zhang, M.P. Wolcott and J. Zhang. 2014. Use of eugenol and rosin as feedstocks for biobased epoxy resins and study of curing and performance properties. Polymer International. DOI: 10.1002/pi.4588. 63(4):760–765. Qin, J., M. Wolcott and J. Zhang. 2014. Use of polycarboxylic acid derived from partially depolymerized lignin as a curing agent for epoxy application. ACS Sustainable Chemistry & Engineering. DOI: 10.1021/sc400227v. 2(2):188–193. Migneault, S., A. Koubaa, F. Erchiqui, A. Chaala, K. Englund, C. Krause, and M. Wolcott. 2008. Effect of Fiber Length on Processing and Properties of Extruded Wood-Fiber/ HDPE Composites. Journal of Applied Polymer Science. 110(2):1085-1092. Anderson, S., J. Zhang and M.P. Wolcott. 2013. Effect of interfacial modifiers on mechanical and physical properties of the PHB composite with high wood flour content. Journal of Polymers and the Environment. 21(3)631-639. Thompson, M., L. Haselbach, C. Poor, and M. Wolcott. 2013. Integrating green rating systems: A case study for ferry terminals. Journal of Green Building. 8(1):136-150. Schildmeyer, A.J., M.P. Wolcott and D.A. Bender. 2009. Investigation of the temperature-dependent mechanical behavior of a polypropylene-pine composite. ASCE Journal of Materials in Civil Engineering (21)9:460-466. Migneault, S., A. Koubaa, F. Erchiqui, A. Chaala, K.R. Englund, C. Krause, and M.P.Wolcott. 2011. Application of micromechanical models to tensile properties of wood–plastic composites. Wood Sci. and Tech. DOI 10.1007/s00226-010-0351-5, 45(3):521-532. Jiang, L., F. Chen, J. Qian, J.J. Huang, M. Wolcott, L.S. Liu and J. Zhang. 2010. Reinforcing and toughening effects of bamboo pulp fiber on Poly(3-hydroxybutyrate-co-3-hydroxyvalerate) fiber composites. Industrial & Engineering Chemistry Research. 49(2):572-577.